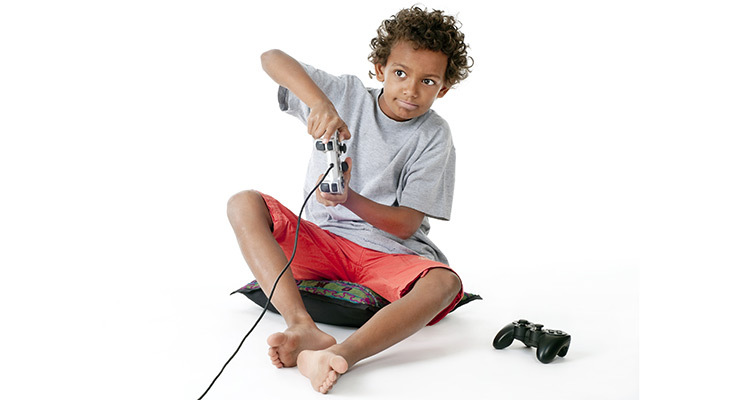 What is biofeedback training for incontinence in kids? | Norton Children's Louisville, Ky.
Norton Children's / Get Healthy Families / Services / Urology / What is biofeedback training for incontinence in kids? Enuresis refers to urine leaking in kids old enough to have developed bladder control. Enuresis can happen during the day (daytime wetting) or at night (nighttime wetting). Biofeedback training uses video games to help teach kids how to control the muscles used for holding urine and going to the bathroom. Why would a urologist suggest biofeedback for enuresis (incontinence)? Before the therapy, your child will need a flow rate test. A flow rate test shows how your child urinates, displaying how the muscles and nerves are working. Special stickers will be placed on a child’s bottom and hip to monitor his or her involuntary pelvic muscles. Your child will need to have a full bladder for the test, and he or she will urinate in a special toilet. After the flow rate test, a urologist may recommend biofeedback testing based on the results and your child’s medical history. Like the flow rate test, biofeedback uses the special stickers placed on a child’s bottom and hip to monitor pelvic muscles. The child will then be able to play a special computer game which helps children learn to relax the pelvic floor muscles. After the game session, your child will be sent home with pelvic floor exercise homework. The exercises will reinforce what a child learns from the game. The therapy may take several visits for a child to master the skills needed to beat incontinence. Some children may need several weeks or a few months of sessions.